The podcast that helps you watch what you want, when you want, on any device you choose. 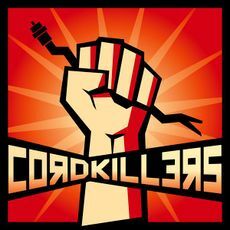 Cordkillers is a podcast in which Tom Merritt and Brian Brushwood discuss "cord cutting", films, TV, and anything else of related interest. Welcome to the revolution We are a show about not just cutting the cord but killing it with fire.Ladies and gentlemen, are you ready for your freedom? Are you tired of living under the oppression of that snake-like coax cable that insists IT is the true arbiter of what you can watch and when and where you can watch it? This page was last modified on 16 February 2016, at 17:53.